This cookbook mixes memoir and lifestyle into a creative cookbook, showing how food communicates love and is a way to connect and share family traditions. 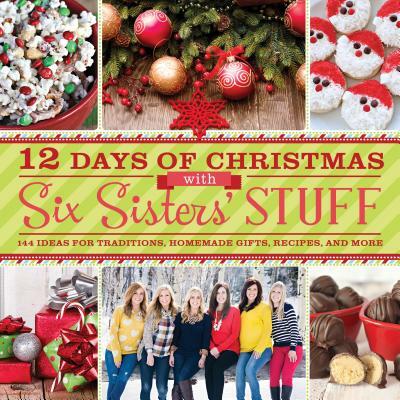 The authors are the bloggers behind SixSistersStuff.com which has 11 million hits a month, connecting with a wide spectrum of readers who relate to the sisters, each at a different stage of their lives from college-bound to raising active families. The Six Sisters, Camille, Kristen, Elyse, Stephanie, Lauren, and Kendra, started their blog in 2011 to keep in touch after they moved out of their house and started lives and families on their own and in just a few years it has become one of the top blog sites for women with millions of visitors each month, sharing stories of family, recipes and tips for running a home. The sisters live in the Southwest and Midwest.